I eat a bowl of oatmeal daily. It's one of my comfort foods. Plus, I'm breastfeeding, and oatmeal helps boost milk supply. Add in the fact that it has iron, and after my son's birth, I lost a lot of blood and needed to eat food with iron. Usually, I eat it warm with butter and brown sugar, but I have been trying to cut back on sugar. Recently I discovered I actually like eating it without sugar. About 12-18 hours before you're going to eat the oatmeal. 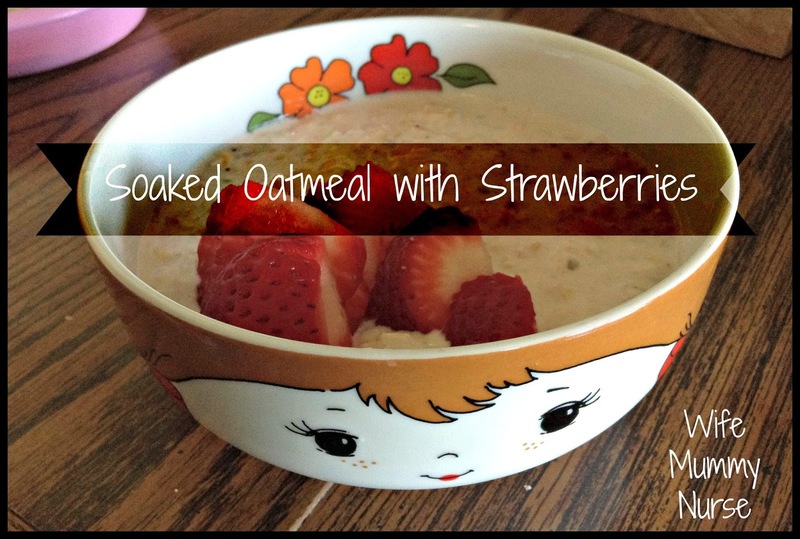 Take 1/3 cup of plain Greek yogurt, 1/3 cup almond milk, 1/3 cup cut up strawberries strawberries, and 1/2 tsp. vanilla extract. Purree them together in a blender. Add to 1/3 cup of rolled oats and stir together. Place in refridgerator overnight. Cut up a few strawberries and place on top. Eat cold.